OBJECTIVE: To determine the association between patient literacy and hospitalization. PATIENTS: A total of 979 emergency department patients who participated in the Literacy in Health Care study and had completed an intake interview and literacy testing with the Test of Functional Health Literacy in Adults were eligible for this study. Of these, 958 (97.8%) had an electronic medical record available for 1994 and 1995. MEASUREMENTS AND MAIN RESULTS: Hospital admissions to Grady Memorial Hospital during 1994 and 1995 were determined by the hospital information system. We used multivariate logistic regression to determine the independent association between inadequate functional health literacy and hospital admission. Patients with inadequate literacy were twice as likely as patients with adequate literacy to be hospitalized during 1994 and 1995 (31.5% vs 14.9%, p<.001). 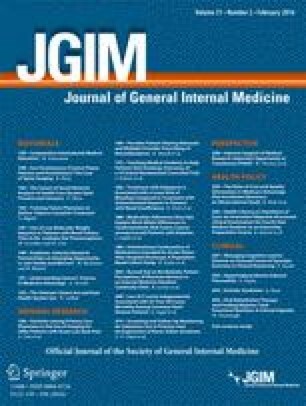 After adjusting for age, gender, race, self-reported health, socioeconomic status, and health insurance, patients with inadequate literacy were more likely to be hospitalized than patients with adequate literacy (adjusted odds ratio [OR] 1.69; 95% confidence interval [CI] 1.13, 2.53). The association between inadequate literacy and hospital admission was strongest among patients who had been hospitalized in the year before study entry (OR 3.15; 95% CI 1.45, 6.85). CONCLUSIONS: In this study population, patients with inadequate functional health literacy had an increased risk of hospital admission. Preliminary results of this study were presented at the National Health Literacy Conference in Washington, D.C., on June 3, 1997.